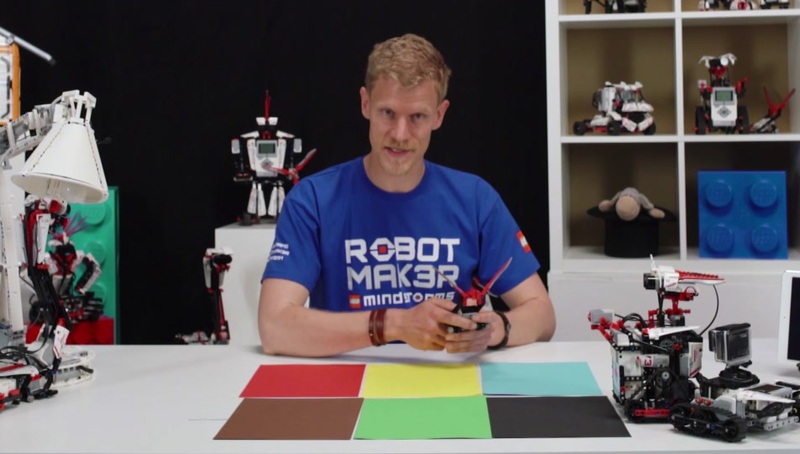 Explore LEGO MINDSTORMS EV3 with LEGO ROBOT MAK3R STUDIO! Here we introduce you to the EV3 fan robots, cool models designed by some of our most dedicated fans from around the world! 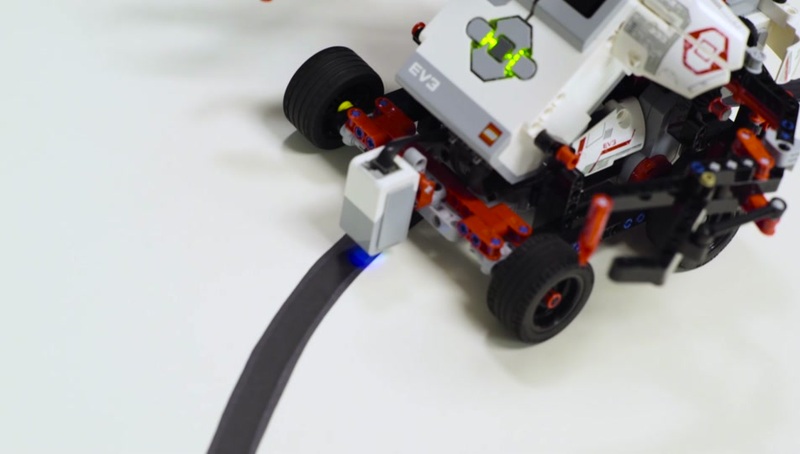 This robot uses the IR sensor to follow a line and avoid obstacles…(and it does a wheelie at 03:22!). Use the remote control to steer this little fella (…and hear it talk at 00:31). Or put it in ‘Follow Beacon’ mode. This robot uses the IR sensor to detect and respond to colors (…and it even cracks a joke at 02:31). Getting a robot to walk is one of the hardest things you can do. Except when it isn’t (wait for the bowl of goodies at 02:10). Designed by Lasse Stenbæk Lauesen. BOBB3E likes nothing better than doing some heavy lifting. See if you can program it to avoid pushing the pallet over the edge of the table! The RAC3 TRUCK is a amazing build that is really cool to interact with, even when you put it in autonomous mode, allowing it to drive around on its own. Got a really messy desk? Put ROBODOZ3R to work. That mess will be cleaned up in a flash (never mind the floor)! This is a ‘whackamole’-style game that tests your reaction speed! The robot pops up disks that you have to whack as quickly as possible using the whack-wheel hammer. Challenge your friends and see who wackedy-whacks the fastest! Designed by Martyn Boogaarts. 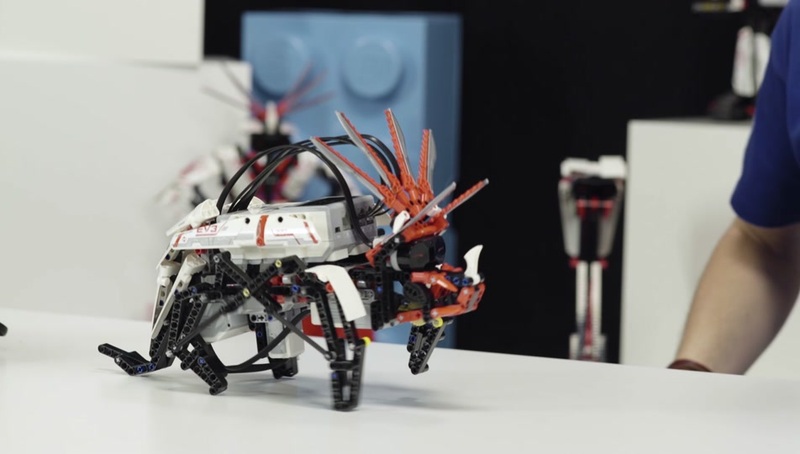 This funny-looking robot is ready to organize all your LEGO® Technic beams. Simply insert the beams into the machine, and MR B3AM will detect their color and size. Designed by Kenneth Ravnshøj Madsen. 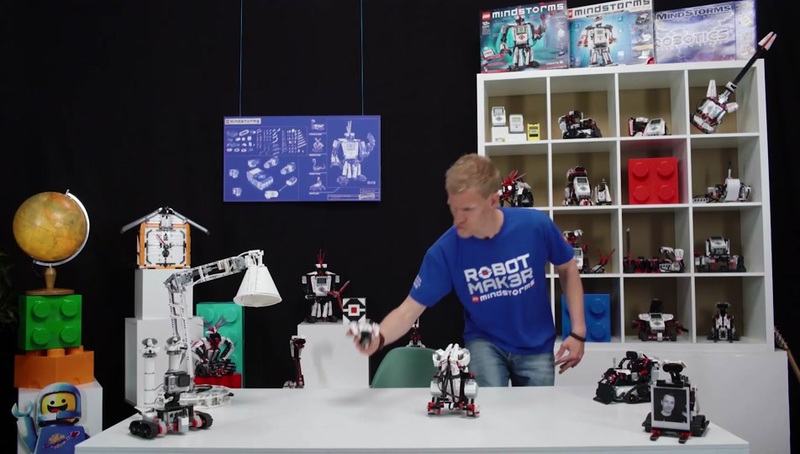 This robot is all set to play tricks on you. Hide the red ball under the shell, use the IR Beacon to set your level, and watch the robot shuffle and hide the ball – but where? Challenge your friends to see who can find the red ball first! Designed by Ricardo Oliveira. A robot that can draw? That’s right! Using a standard marker pen, this printer draws lines on a roll of standard calculator or cash register paper. Use the provided program to make the printer draw “EV3”, or customize it to draw whatever you imagine. Designed by Ralph Hempel. Ready to rock’n’roll? This LEGO® guitar can be played almost like a real guitar. Stroke the string, slide your fingers across its fretless neck, and bend the notes using the tremolo bar to produce the most amazing guitar solos! Designed by Daniele Benedettelli.